Gulliver's Travels by Jonathan Swift is one of the greatest satirical works ever written. Through the misadventures of Lemuel Gulliver, his hopelessly modern protagonist, Swift exposes many of the follies of the English Enlightenment, from its worship of science to its neglect of traditional philosophy and theology. 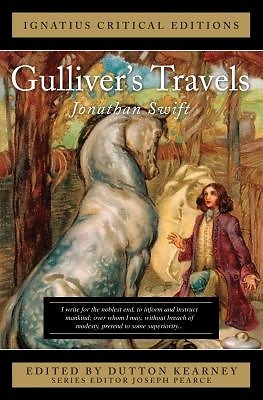 Swift's satire on the threats posed by the Enlightenment and the embryonic spirit of secular fundamentalism makes Gulliver's Travels priceless reading for today's defenders of tradition. This new critical edition, edited by Dutton Kearney of Aquinas College, contains detailed notes to the text and a selection of tradition-oriented essays by some of the finest contemporary Swift scholars.